One of the most gratifying feelings I experience when crafting is to take an inexpensive supply and transform it into something truly beautiful. 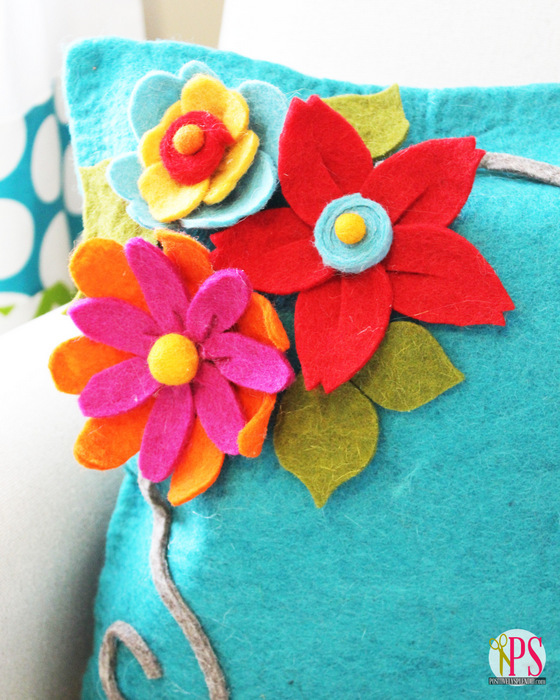 Felt flowers are some of my favorite projects for doing just that! 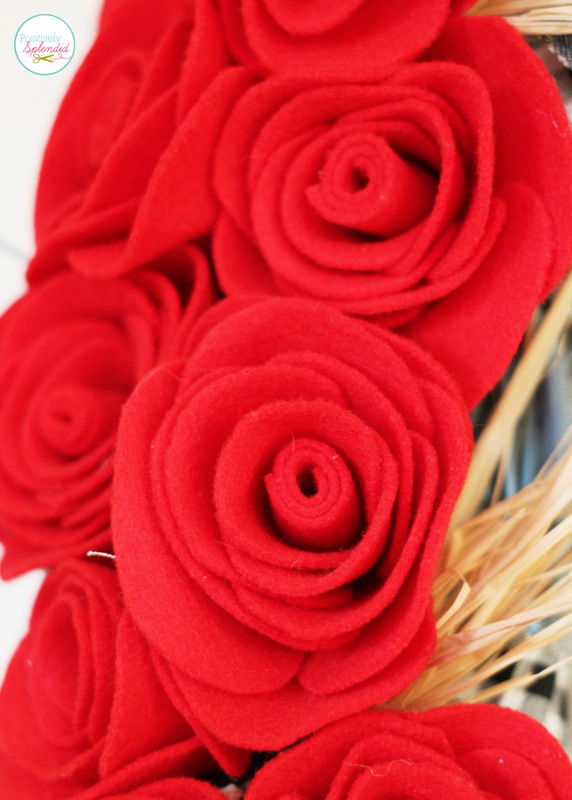 My method for making felt roses is quick and easy enough for beginners, but it produces results so pretty, you’ll want to make an entire rose garden! And the best part? They require absolutely no sewing! 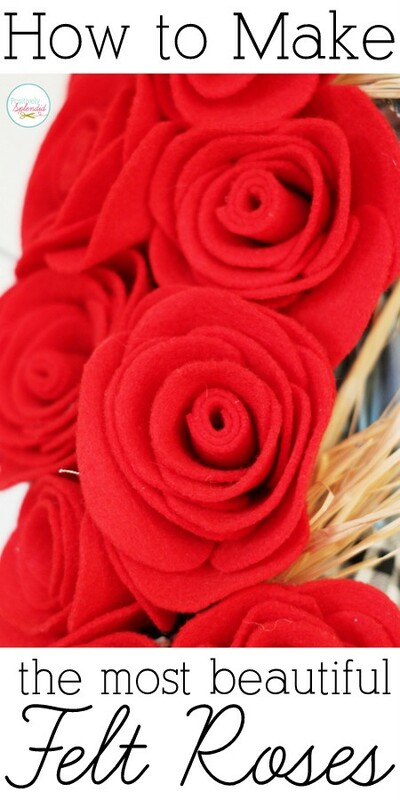 These felt roses are perfect for adorning anything from wearable items to home decor projects. Let me show you how they come together, with just a few basic supplies. step 1 / Cut out a set of oval petals (count on 8-10 petals per flower, depending on the desired fullness of your finished roses) and a rectangle center for each rose. My petals were each approximately 1.5 x 2″ and my rectangular centers were about 1.5 x 3″. 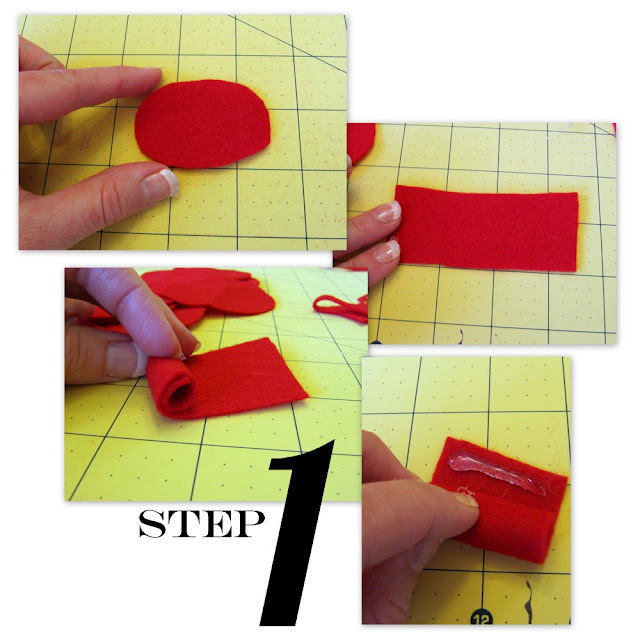 Take one of the center rectangle pieces, and roll it up starting from one of the short ends, as shown. Apply a line of hot glue to the other end to secure your roll. Repeat for your remaining flower centers. step 2 / Take one of your centers, and apply a line of hot glue at the base, as shown. Adhere one of your petals with this line of glue, as shown, making sure the bottom of the petal is flush with the bottom of your rolled center. Now, apply another line of hot glue at the base of your flower between the two outer edges of your first petal, and adhere another petal as you did before. You will continue applying your petals in this same staggered manner until your flower is the desired fullness. Repeat this step until you have completed your desired number of roses. Add a pin back to a flower to create a lovely brooch, or use the flowers to accent anything from throw pillows to wreaths. The options for these beauties are limitless! This is beautiful! I totally love it. I think your blog is awesome so I nominated you for the Stylish Blogger Award! Head on over to the link below to collect your button. 🙂 Have a great day! I’m kind of a wreath addict! I love that you sprayed this one turquoise! 🙂 So pretty! I love the roses and the ruffle detail is so fun! Very cute! I was hoping you would do a tutorial on these roses! (Totally pegged this wreath as yours!) I love the look of them. Love the wreath, too! That’s really, really beautiful! Thanks so much for this, it’s perfect for my porch! I’ll be linking too. Thanks for the how to info. I have lost of red felt maybe I’ll just make me some roses! This is really pretty – I want to make one! Thank you for sharing! 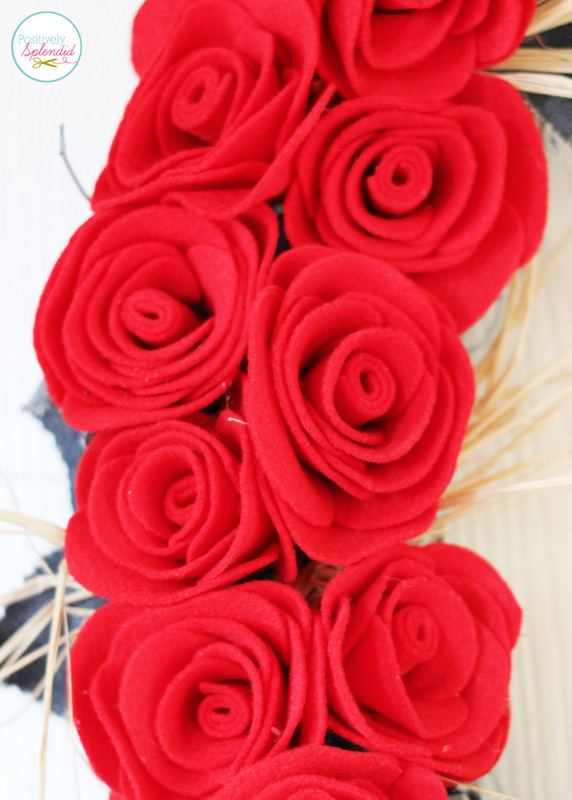 Amy – I love your wreath idea but I think I love your felt roses tutorial more than anything! 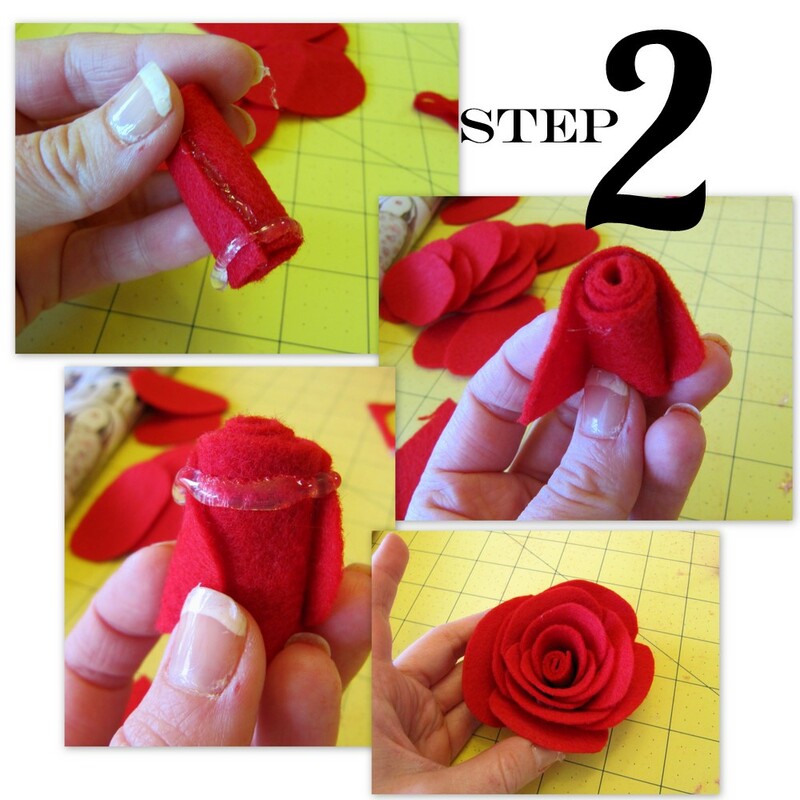 I have been searching high and low for an attractive way to make felt roses and you have clearly mastered that. My future wreaths and I thank you! new follower! absolutely love this wreath. it is totally gorg! amazing blog and you are officially on my bookmarked list! ADORABLE! How do you think of these darling ideas?! This wreath is so cute! I love the colors. 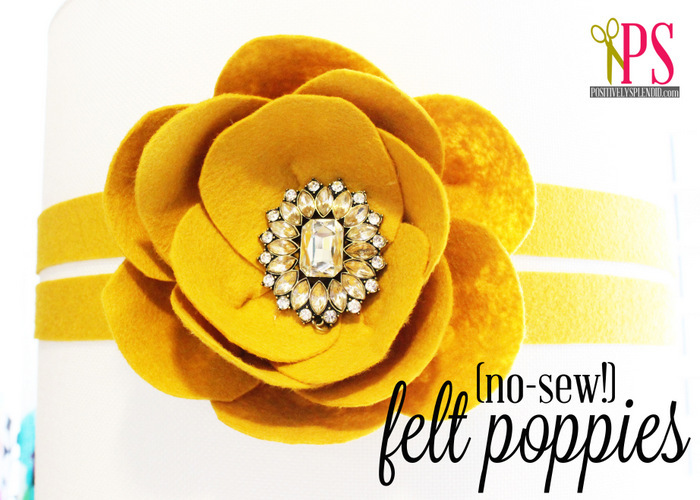 I love felt flowers, and I hadn’t seen this technique yet. Thanks! My spring wreath is a mix of white, pink, and green felt flowers, also on a grapevine wreath. Since I use my grapevine wreath as a base for every season, and just switch out the embellishments, I hot glued mini clothespins to the back of all my flowers. Then I just clipped them onto the wreath. And they can be switched out really easily! Take a look if you have a minute http://diysisters.com/decorating-for-st-patricks-day-and-easter/.